"Earth is one of the most beautiful planets in this multiverse. As Earth Mother, I come from a family of spiritual beings across the universe who do things such as Planetary Caretaking, or other large jobs. We are very, very ancient spiritual consciousnesses. We have been around in the universe for many, many billions of years. When this solar system was first forming, a council was held, including some of us qualified to do Planetary Caretaker work, and it was decided that I would be the Caretaker for this planet. It was rather an honour to be given this responsibility since it had also been decided by some larger councils that this particular planet would be one of extraordinary beauty and spiritual energy. You see, Earth is considered one of the most beautiful planets in the Universe." Each person also signed a soul contract before they reincarnated into this lifetime, but they also have free will. Many of our current behaviour could be residue of the trauma experienced in our previous life times. Our fear to speak, of intimacy, authority, etc. The universe is the greatest recycler of all, as all are connected. As many original people believe around the world, the mineral, animals, weather and elements are all connected on earth. Of all forces on earth, nothing exists in isolation. There are energy webs that link all weathers and living beings together. This web of life is spiritual, sacred, physical – emotional even! All waste from one being is food for another. Even your soul is cycled again through reincarnation. So when indigenous people say “All my relations”, they’re talking about a beautiful dance of Sacred Love that connects all people with all the other beautiful sacred beings here in a way that honours and bows to humanity, to all of it, to all the Great Mystery of it. First is the understanding that there is enough for everyone if you all truly knew how to live in community, if you prioritized the community’s needs over your own individualistic needs. The second is greater compassion. The third is how everything is infused with sacred energy. Aliens definitely exist and have been visiting Earth before humans evolved to our current state. Money is just energy. Some of you know that and have been working on prayer; manifesting abundance; holding good intentions, and all sorts of other positive ways to move energy for a variety of purposes. The movie and book “The Secret” had some truth in it, but it was missing a big piece, which is COMMUNITY. So many of these humans took the spiritual principles of prayer, intentions and manifestation, and have focused on accumulating more stuff. Many have been successful at accumulating more stuff. Certainly some have been using those principles of prayer and manifesting to serve the higher good. But not all by any means. And there we are again, a few with too much stuff and many with not enough stuff. Energy is supposed to move. Energy is not supposed to sit in bank accounts and get bigger. It’s supposed to move like a river. It’s never supposed to be held trapped. (By the way, rivers that have been dammed are very unhappy rivers and yearn to run free again too). I love all my dragons and they actually did exist here on me physically. The last one vibrated out into a higher dimension a number of centuries ago. You all would call it going extinct but when a species disappears from here in the physical, they don’t disappear from the universe. They still exist in another dimension, and when the time is right, they will return here into the physical. So the dragons were relegated to the realms of fairy tales along with the fairies, themselves. All of my spiritual beings, the thunder beings, elementals in charge of the weather, and countless entities beyond that were relegated to children’s stories. Yet, the truth is that all of these actually exist here. But because of how the past several thousand years have played out, with most two-legged dishonouring me and all the spiritual beings who are part of me, my beloved, beloved nature spirits have been forced to pull back into various wild corners of me that have remained protected. They are waiting for the New World that is coming in so they can return to their former home territories to help heal all the wounded corners on me. That is part of the work they do with me; they weave the energies of a place back together to promote more seedlings; more soil buildup, more love into the land. People feel better after hiking in the forest; yet attribute it to the fresh air, unaware of the beautiful energies of the nature spirits. The nature spirits have a psychic hotline that travels the planet very quickly. It makes your Internet look antiquated. Most of these beings are as ancient as I am. I have worked very closely with all of them to help move evolution along, the manifestation of evolution fueled by the Quantum Divine Love of Creation and myself. It’s always been a co-creative effort. Not hierarchical at all. There used to be villages all over the world with medicine people, some might call them shamans. They worked hard to keep things in balance on me. The weather nature spirits are mighty angry about the lack of respect humans have shown to the natural world, as they have their own emotions, so they’re whipping up typhoon and hurricane. There is not much I can do to control their anger, as I’m only a member of the council. There is another piece to this, too. Your emotions, your collective human emotions of anger, frustration, judgmental thinking, unbalanced egos, jealousy and other more base ways of thinking influence the weather (and earthquakes). Everything is connected spiritually and energetically as I’ve been sharing. If so many of you continue to live your lives spinning in your shadow self, it will encourage worse storms and droughts. There is a significant resonance to your emotions that the elementals pick up on, and the dance takes off from there. It’s all energy and all so connected. And each of you has a choice in the dance. All day long you have the choices. If you want to help appease these elementals and other nature spirits, do all you can to come back into balance on me. Living from the philosophy of All My Relations also honours the nature spirits. Learn how to connect with me spiritually. Focus on your spiritual life and offer more kindness, forgiveness, and compassion and cultivate your inner peace. Live far more simply and in community, taking into consideration the next seven generations in your actions. Rediscover the sacredness of who you are and who I am as your Planetary Caretaker. In doing those things you can raise your vibrations, enhance your personal song. Come together and drum. Did you know the drum is my heartbeat? Vision without structure will bring chaos, while structure without vision is dead. Productivity is a function of design and structure, not our good intentions or our big thoughts and dreams. Perspective shift: Your passion is only a part of that story. Most businesses grow, out stripes their existing infrastructure, experience pain, and so they either shrink down to it’s original size, or limp along until they get more infrastructure so growth can happen. People get stretched thin. Sometimes they manage things well. Every now and then, someone drops the ball. Sometimes, someone gets fed up and quits. What if a company's plan is set up in reverse -- instead of today into the future, but the future back to today, anticipating growth, and put in the infrastructure necessary so there is no pain during the growth. Misconception: The easiest and safest way to grow is by aiming for 10%-15% annual growth. Perspective Shift: It is often easier to double or triple revenues than to achieve consistent 10%-15% annual growth. Misconception: I have to fix and move past current difficulties before I start looking at growth. Perspective Shift: If I currently deliver quality results to clients and customers, I may be able to grow now. 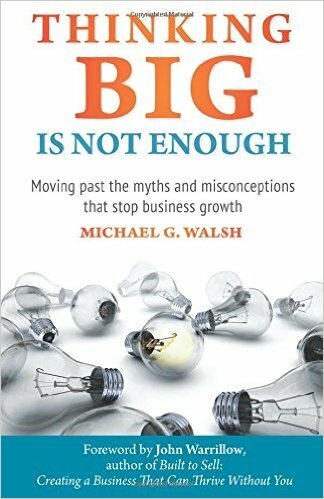 Myth: Planning for growth is the same, no matter what size business you have. Perspective Shift: The biggest threat to the owners of small to medium-sized businesses is time. Perspective Shift: Planning is best done from the larger future to present. Myth: As I grow, my job will stay the same. I’ll just be doing more of it. Perspective Shift: Beyond a certain point, doing more of the same activities can impede growth. Myth: To grow my business, I will have to work harder. Perspective Shift: The bigger the game gets, the more we are paid to THINK, and the less we are paid to DO. Myth: Time off is a reward, to be enjoyed only after achieving our goals for growth and profit. Perspective Shift: Time off and self-care are critical ingredients of an effective growth strategy. Misconception: A company’s financial information is mostly used for tax and compliance purposes. Perspective Shift: The finance department can provide rich information to help with growth and increase profit, but only when properly staffed and if the right information is sought. Myth: To grow a business, you need major investment capital and investors. Perspective Shift: If you grow through sales rather than capital investment, you don’t have to pay it back. Myth: When bringing on a partner/investor, there is basically one deal to reach. What percentage do they get, and for how much money? Perspective Shift: To avoid the difficulties associated with partnerships, separate the roles of owner/investors and officers of the company. Also, sort out the related issues, not just percentage interests. Myth: Other than investors, banks are the only viable source of funding for a growing business. Perspective Shift: There are many ways to fund small business growth. Myth: People will naturally build the process they need as they need them. Perspective Shift: Process development requires active and consistent focus. Myth: Since I have great staff, they will just come and tell me if there is a problem. Perspective Shift: Introduce written weekly debriefs and regular weekly meetings with all key staff. Myth: Our product/service mix is fine the way it is. There are more important things to focus on, so leave this one alone. Perspective Shift: Product development and evolution in a growing company is never finished. Myth: Product improvement will only cost us money and reduce our margins. Perspective Shift: Product improvement, if done right, can actually improve margins. Misconception: The best place to learn how to enhance your operational processes is from within the industry. Perspective Shift: You can learn about your own operational structure from any situation, anywhere. Myth: Core values don’t impact the day-to-day running of business. Perspective Shift: Core values are the critical part of building an effective and collaborative staff team. Myth: Core values are just an internal tool. Perspective Shift: Core values can also support our efforts to define the clients we work with and the suppliers we choose. Misconception: A company vision is a larger-than-life goal that hangs on a wall, but has little to do with the company’s daily operations. Myth: When hiring, take the best of the bunch and get on with it. They are obviously all that are available to choose from. Perspective Shift: Follow an established and effective protocol. Myth: Most people won’t be as good as you, so don’t spend too much time looking. You might just be disappointed anyway. Perspective Shift: When hiring, you can get what you want. Get clear on what you want in writing. Myth: Always take on less expensive people to protect the company’s profit. Perspective Shift: Less expensive people may cost you more money in the long run. Myth: When growing a business, add people only as sales demands require. Lead with sales, then get the people as needed. Perspective Shift: Hire “ahead of the curve”. Myth: As a manager, never hire someone who is better than you. They could take your job. Perspective Shift: If you cannot be replaced, you cannot be promoted. Myth: The people who are best at their job make the best managers. Perspective Shift: Hire specifically for management skills when hiring a manager. Misconception: Titles are an inexpensive way to make your people happy. Perspective Shift: Be cautious about the titles you give people; these will likely change as you grow. Misconception: People can’t really grow all that much. Perspective Shift: People can grow between 5% and 15% at any single point in time. Over a longer period of time, they can grow substantially. Myth: Leadership development is not essential for the company’s growth. Perspective Shift: Leadership development is core to people’s ability to grow. Misconception: It is solely management’s responsibility to set up and implement major improvements and initiatives for the company’s growth. Myth: You can “grow” (read “change”) people into who you want/need them to be, so then they can do the job you wanted done in the first place. Perspective Shift: People will take on substantial projects, if given the chance. Misconception: Employees treat reviews as a chance to get more money. Keep salary reviews connected with professional development reviews. Perspective Shift: Separate salary reviews from professional development reviews. Misconception: To minimize the interruption of professional development reviews, do them all together, at the same time each year. Perspective Shift: Move professional development reviews to the employee’s work anniversary with the company. Misconception: I have been running my business a long time. I obviously know how to talk about what we do. Perspective Shift: Take the client’s perspective. Place yourselves in their world. Misconception: Clients just want a proposal with pricing and deliverables. The sooner we give that to them, the sooner they will buy. Perspective Shift: Take the time to understand the client's needs in depth. It makes a big difference. Misconception: Since I already know how to sell, this is not an area I need to focus on. Other priorities need my attention. Perspective Shift: We owe it to our clients to continually improve. That includes improving our listening skills with them, even before they choose to do business with us. Myth: Competitors – especially bigger ones – are to be feared, mistrusted, and actively avoided. Perspective Shift: Competitors will get their share of business and so will we. We need to focus on what we do and on our clients. b.What is the result I assist customers to achieve? d.What is the impact on them from achieving their desired result? B.Build and then ask questions two levels deeper than your best competitor would. Get to the core, the underlying issues. C.Complete the feedback loop by restating, either orally or in writing, what you heard from your customer. Send this to them right after your fact-finding meeting as a separate item, not just at the start of a proposal. D.Ensure that your solutions are tied directly to the stated needs. Myth: If you want to grow your sales, just hire a good outside salesperson. Perspective Shift: Understand the different types of sales roles, and clarify which type(s) would be best for your company. Myth: Get salespeople faster by getting them into the market as soon as possible. Perspective Shift: Take the time to train salespeople – even experienced people – while keeping them out of the field for one or two months. Myth: If something doesn’t work, don’t try it again. That’s just a waste of time, effort and money. Perspective Shift: Give yourself permission to experiment, risk-manage your investment, and learn from your mistakes. Misconception: People need to be sociable and outgoing to be good at sales. Perspective Shift: Effective salespeople come in all the different personality types, just like the rest of us. Myth: Hiring salespeople is just like hiring other staff. Perspective Shift: Hiring salespeople is not the same as hiring for other roles within the company. Misconception: We are too small to use marketing. Perspective Shift: Done properly, marketing is a strategic part of the business. Misconception: The place to start in developing a marketing strategy is to understand our market, our competitors, and how we are different from them. Perspective Shift: Always start marketing efforts by focusing on your clients and customers. Misconception: Marketing takes effect immediately. Perspective Shift: Marketing activity takes effect six to twelve months later. Myth: Only build the marketing team consistent with our current size. Perspective Shift: The marketing team today should reflect the intended size of the company one to three years from now. Myth: Marketing is all about new clients. Perspective Shift: Use the marketing team to support repeat business from existing and previous clients, not just new client acquisition. Misconception: The marketing effort is only about clients and customers. Perspective Shift: With high levels of growth, the recruitment of staff becomes a marketing initiative. 1.Understand how each individual element of the business works, both at its most basic and fundamental level, and as it evolves and gets more complex. 2.Understand the relationships between the different components, and the dynamics of how they work together. 3.Understand the impact and consequences of change: a) on each of the individual elements, b) on the nature of the relationships, and c) on the business as a whole. This book is full of great dialogue between Louise and Michael as they debrief the tremendous growth Louise's company has gone through in three years and the many things she did not anticipate or thought wrong. I have only included a few juice tibits for your viewing pleasures. You may purchase this on www.kaizenconsulting.com If you want to find out more, Kaizen Consulting is celebrating their 20 Years Anniversary with one last Open House with Wine & Cheese and introducing a new online business club "Freedom Navigator Club" at their office Monday Aug 17th from 6-8pm at M2-601 W. Broadway. 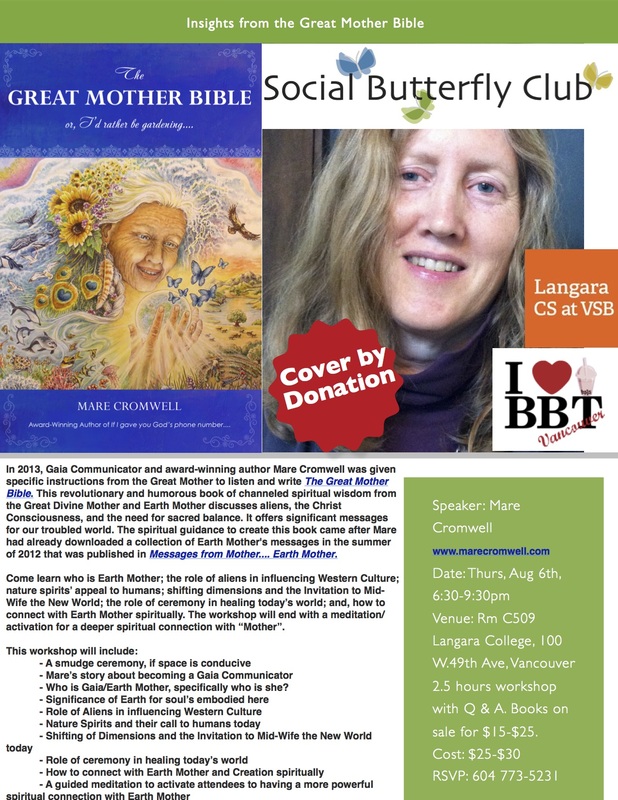 You're more than welcome to join, just RSVP with alice@gracioushost.ca Attendees will receive a complimentary copy of this amazon bestseller book! If you do not live in Vancouver, that's okay. Kaizen Consulting service clients in UK, US and Canada so they're just a phone call away.